1965 to join a flying school in JHB. He later qualified as a commercial pilot and flew a crop duster for 35 years. Crop spraying is seasonal work and he had 4 months every year with not a lot to do. Mike had an interest and talent for drawing from a young age so decided to try and teach myself to paint a picture in the off season. 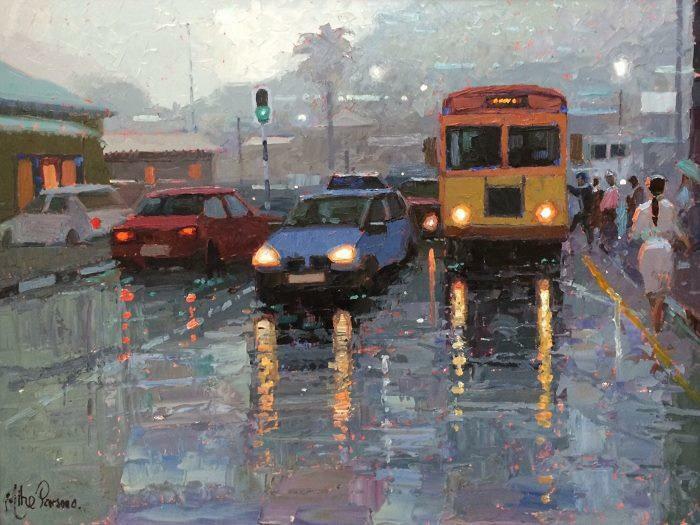 He is self-taught apart from a year painting with Adriaan Boshoff in the 1980's. 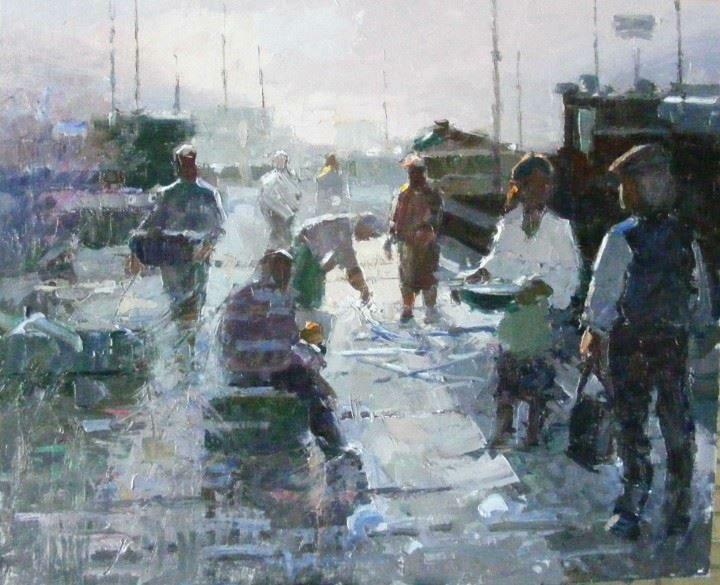 Mike admires painters like Adriaan Boshoff, Ken Howard, Bernard Dunstan and John Singer Sargent. He tends to follow the work of living artists (as opposed to past masters) because they have taken it so much further. John Singer Sargent would be astounded where he is able to see the work of Richard Schmidt. Never a hobbyist. The beautiful never ending battle for a better picture is his only goal. 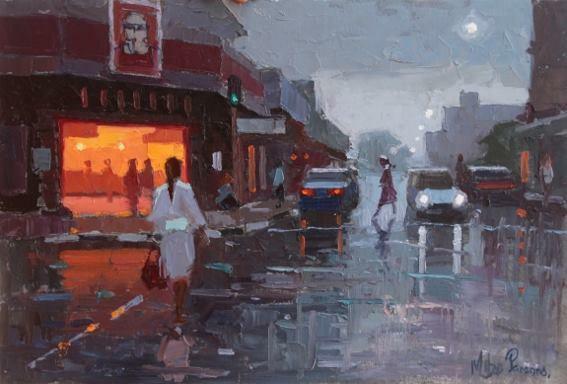 He tries to capture light, mood and atmosphere in a painting that more often than not would depict people and figures. Drawing is important to him with whatever is in his hand. Brush, palette knife, ball point pen, charcoal, or pencil. Drawing and tone (or value) are what offer impact to a painting and that's how he starts each new project. Articles on his methods and techniques have appeared twice in the SA Artist magazine.